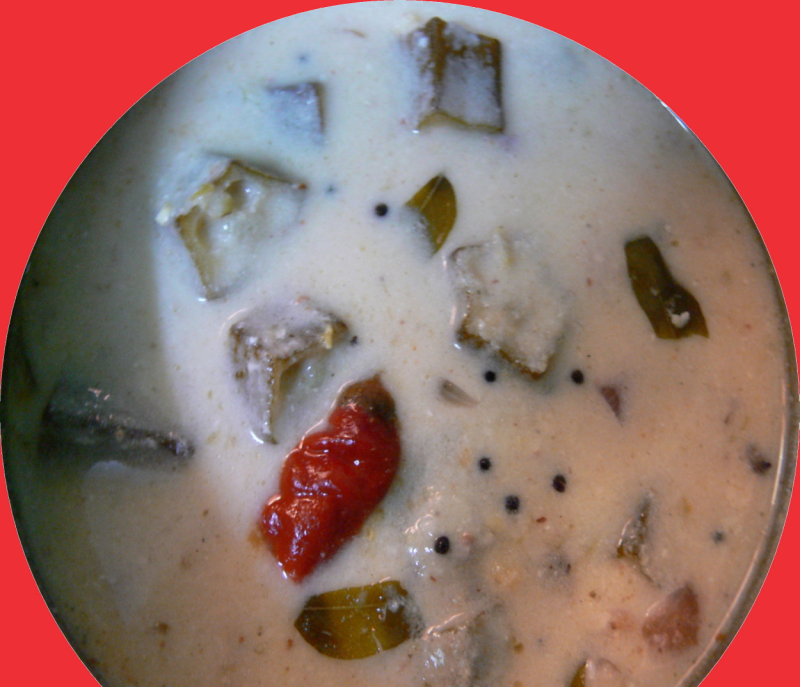 Buttermilk Kuzhambu can be made with capsicum pieces,mushroom pieces,White Pumpkin pieces,Drumstick pieces,etc.Try this Buttermilk Kuzhambu-Which can be quickly prepared than others. (can be done in 9-10 mins time). Heat oil in a kadai,saute ladies-fingers for 2-3 mins till half-done. Add mustard seeds,split uraddal,whole red chillies,grated ginger,jeera seeds and curry leaves for a min. Add water,dissolved rice flour,coconut paste,turmeric powder,asafoetida and salt and bring this to boil for 5-6 mins. Beat the curd or yoghurt and add this to the Kadai. Thank U for d recipe of Moru Kuzhambu . A great dish for dis Unbearable Summer as Lady's finger nd Buttermilk r both body coolant . nice recipe friend..i love to have mor kuzhambu..thank u..